We all know, when it comes to internal communication channels, video is nothing new. However, video is still somewhat surprisingly underused, and perhaps even worse, underperforming. One notable reason for the above is the absence of a strategy when approaching the use of video. As unexpected as it may sound, many organisations are failing to not only get the green light needed to produce a video, but also to get any real results when they do – and this is predominantly as a result of poor planning. Clearly for any form of communication, knowing who it is being aimed at is crucial. While internal communicators unfortunately are generally unable to analyse audiences at a level used by external comms, due to the absence of investment and tools; approaches such as segmentation should be used, to help identify whether for the audience, video is indeed an appropriate channel to use. Furthermore, having a detailed understanding of the audience will inform the business case, the type of video content, how it is to be distributed, and how success is measured. Funnily enough, the aforementioned are the remaining key elements, which we will look at now. The use of any channel should be for a reason, not simply for the sake of it. You need to identify what value video will bring to the communications. Especially so for video, as they often require significant investment; therefore proving its worth is vital. Internal communicators need to understand the benefits of video and its use cases, so that when they are working on communication strategies they can better identify when the use of video would be beneficial. For example, communicating company values is something that video is good to use for. Company values expressed through the written word can be – for want of a better word – lifeless. Well, perhaps ‘lifeless’ is too strong a word. Maybe it’s best saying that they just don’t seem that real. That is what video can do; it can bring things to life and make them feel real. A video showing real employees talking about real events, in which real values can be seen, is nearly always more powerful and engaging than values simply displayed in the form of the static written word. The big question you will need to answer here is: agency or in-house? The type of video you plan to create will often dictate this, and of course the capabilities that you have in-house too. It’s important to point out that an agency can play a big role in helping to identify the type of video to create. An agency will often be armed with useful case studies – both theirs and those of others – which will show video executions used to solve communication problems and reach audiences similar to yours. By going through this process it should become evident what type of video is best. For example, as we mentioned earlier, communicating company values is arguably best achieved through the use of real people telling real stories. Whereas heavier more data driven communications are normally best captured in a motion graphic / infographic style of video. It’s always worth remembering that the key benefit of videos is their ability to engage the viewer on an emotional level. This is best achieved when storytelling is at the heart, and messages are kept to a minimum. Simple, powerful stories work best. How can we support distribution and shareability? As good as your video may be, if no one sees it, then it’s pointless. Video is a channel of a communications strategy, but video should also be looked at as having its own channels – distribution channels. Again, as we mentioned at the very beginning, the channels you use to distribute your video, should be identified based on the audience you are trying to reach. For example, workers who rarely access online channels and who instead operate ‘on the factory floor’ will require a different distribution strategy to a millennial who is a heavy user of the companies social media network. – How will the videos be hosted? Enterprise or public platforms? – Are the videos optimised for mobile? Can they be effectively viewed on smaller screens? – Can the videos be repurposed, tailored to a specific channel? 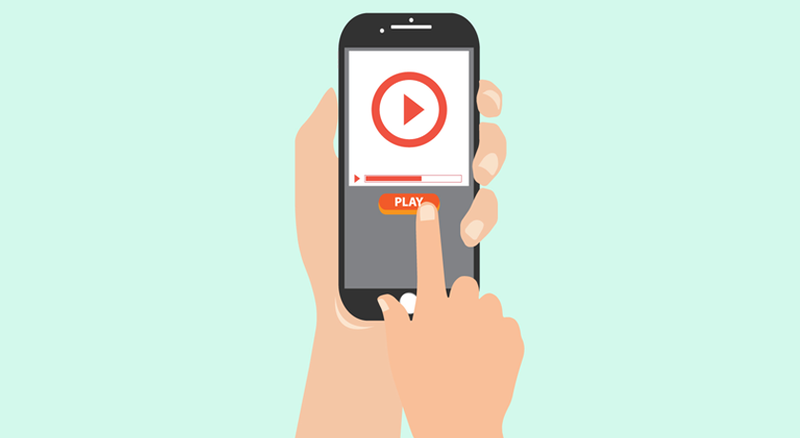 For example a video shown on mobile works best when it is short and punchy, whereas when viewed on desktop or shown in company meetings, the video can be longer in length. – Can employees easily share the video, and become a part of the conversation? Also can they create their own videos as part of the campaign (user generated content) – this is an area worthy of its own post and one we will create. Again, much like understanding the audience, measurement has for too long a time been neglected in internal communications. Thankfully that is changing, and measurement is now being given the attention it deserves. Measurement of a video not only shows its ROI, but it can be used to justify the business case for the production of any further videos. Importantly though, measurement should not be seen as an afterthought, and so it should not just be undertaken once the campaign is deemed to have finished. Measurement should be used throughout, as a way to optimise the performance of both the video and the campaign it is a part of. Metrics such as ‘drop off’ can help to reveal any possible issues with the video. Length of video for example may require attention. Measurement can also show what audiences are engaging with the video, and those that are not. As a result, different communications can then be used to reach the disengaged audiences. Social listening around the video is something that the best organisations are now focussing on. Things such as ‘likes’, ‘shares’, ‘comments’ and ‘sentiment’ are all metrics to focus on. Organisations can listen and then get involved in the conversation to try and fuel it even further. Clearly the social aspect works very well for user generated videos, and is a key reason for their use. Hopefully we’ve made clear the importance of focussing on creating a strong video strategy from the very start, and the areas you should focus on. It really is time internal communications were treated in the same way as external communications. It is great to see that many organisations are taking steps in order to try and achieve this, and we think more will continue to do so, as ‘building from the inside out’ becomes ever more recognised as a factor for business success. Right, that’s a wrap! If you’d like help with the use of video in your organisation then please drop us a line.